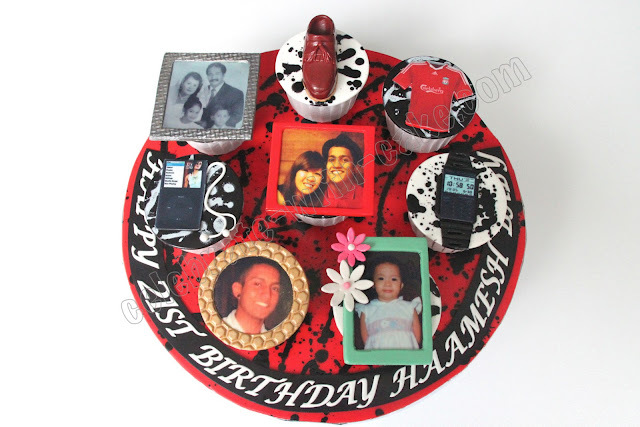 J, came across our blog from the net, and got us to make this cupcake ensemble for her boy's 21st birthday! She sent us several pictures of her and her boy and requested for other toppers such as a doc mart loafer, iPod and a casio watch. cupcakes were red velvet with oreos. Thank you for the wonderful cupcakes! 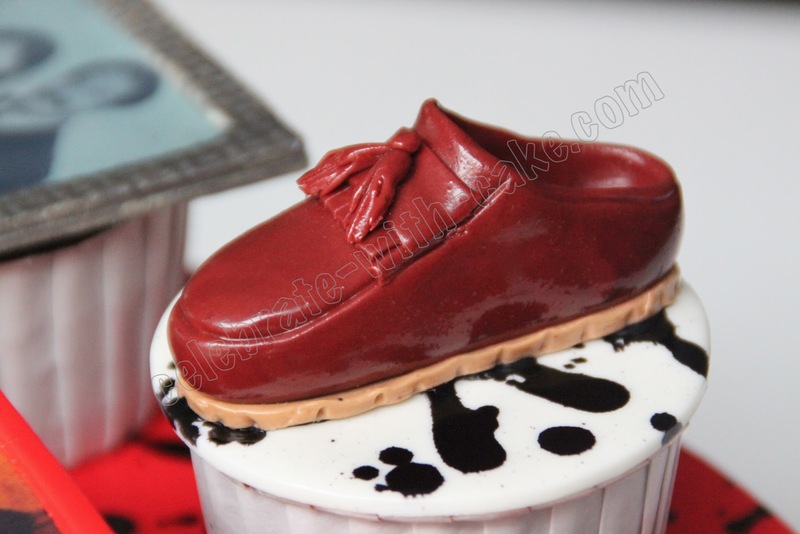 Awesome details on the Dr.Martens loafers!